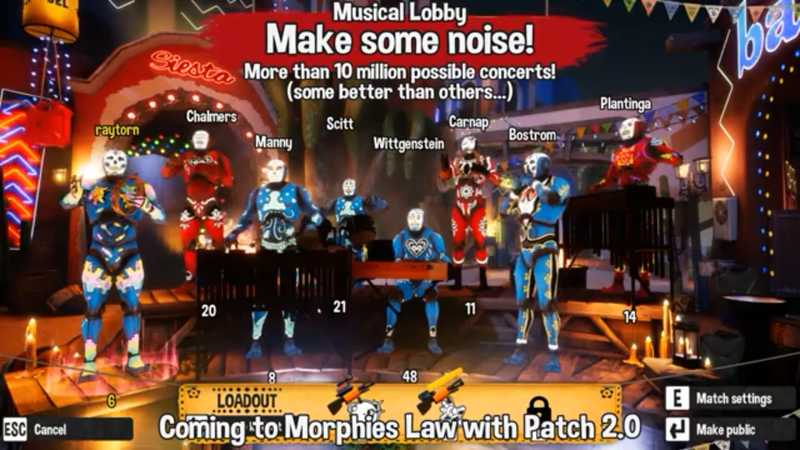 With the upcoming Morphies Law Version 2.0 update around the corner, Cosmoscope have posted a new preview video. In the third installment of preview videos, we get a look at the new Musical Lobby. It allows players to choose and play between 30 different instruments and can make around 10 million different combinations. Some, obviously much better than others. We have a description of the video below as well as the video itself. At least in the lobby. All bets are off when the match starts! In this, our third in the series of Morphies Law teaser videos, we’ve got a musical treat in store for you. Choose your instrument from over 30 noise making gizmos and prepare to take the lobby by storm. With over 10 MILLION possible lobby combinations, you’ll be entertained or reduced to tears by the Morphie musical renditions. From guitars to the vibraphone, there’s more than enough to satisfy any musical taste.